Please support our church Preschool while decorating your home with beautiful, vibrant, red holiday poinsettias. You can order online this year or call Nicole Hage at (619) 223-3327 or email by November 15th to pre-order 6” pots at $15 or 8” pots at $25 each. 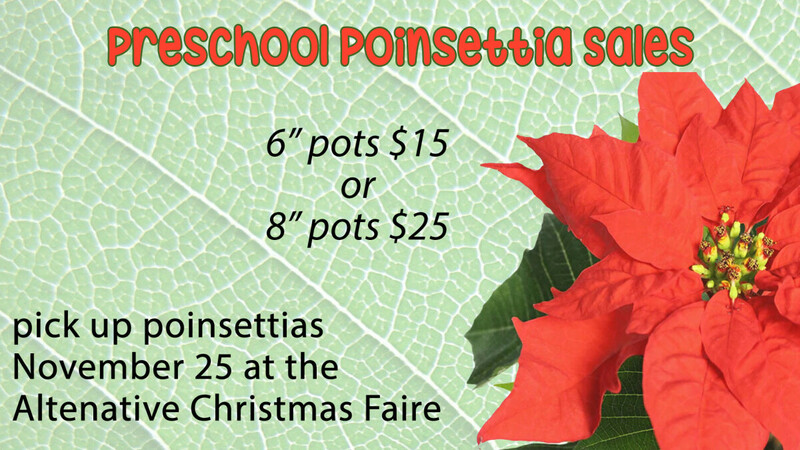 Your poinsettias will be available for pick up on Sunday, November 25th in the Family Life Center at the Alternative Christmas fair. The Preschool is grateful for your support!